It’s finally here! 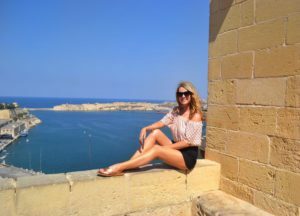 Malta has been on my bucket list for years so I was delighted to finally tick it off my never-ending list. I went with my girl Nirina for five stress-free days. This was very much a spur of the moment trip but I think those kind of trips always turn out to be the best kind. 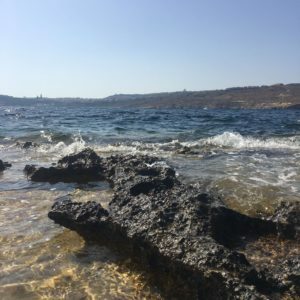 Nirina hadn’t been to Malta either so we did some research, put together a list of things we would like to do and places we would like to visit and we were on our way. 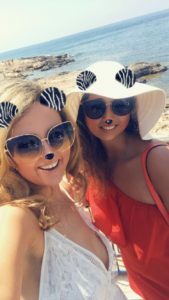 In this blog post I have covered a number of areas from flights and accommodation to suggestions for things to do and see in the main areas I visited. 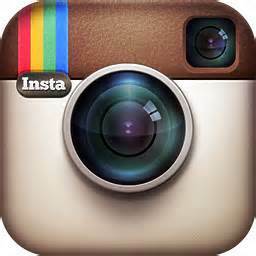 Have a read through and if you have any questions ask away! We flew to Luqa Airport from Dublin via Ryanair and our flight was around 3h50mins. On our way back the flight was around 4 hours long which again wasn’t too bad. 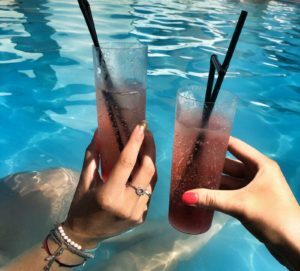 We stayed at the Alexandra Hotel, which is located in the Paceville area of St. Julian’s. We booked both the flights and accommodation through Expedia. Luckily enough St. Julian’s was only a 15-20 minute taxi ride, and it cost us €20 from Luqa Airport. If you’re looking for somewhere relatively cheap and central then the Alexandra Hotel is definitely worth looking into. 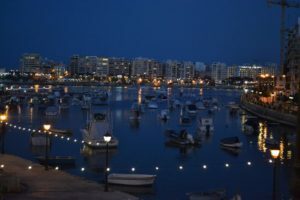 It is located on Schreiber Street, which is only a 10-minute walk from Spinola Bay in St. Julian’s. There are many bars, restaurants and shops in the area, as well as bus routes and bike rentals. As we had arrived early in the morning, our room was not yet ready (check-in is 2pm) but we were able to leave our cases in the luggage room which was convenient. We had a standard double room which had a small balcony, a shower and a WC bathroom. There is pool access to both their indoor pool and their rooftop pool from 10am-7pm. Overall, our stay here was fine however, I will look into other hotels when I next visit Malta. In my opinion, St. Julian’s is an AMAZING place. As we were staying here we got to see and do a lot and we were never stuck for something to do which is always a good sign in my books. 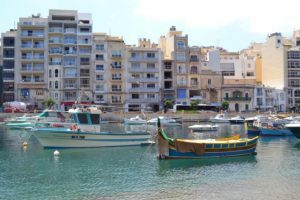 In Spinola Bay you can enjoy the views, go for a swim, catch a few rays and eat to your heart’s content while boats pass you by. 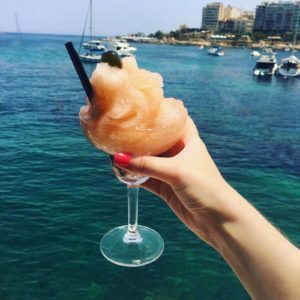 There are plenty of restaurants are around the Bay, including one of my favourite foodie spots Gululu. 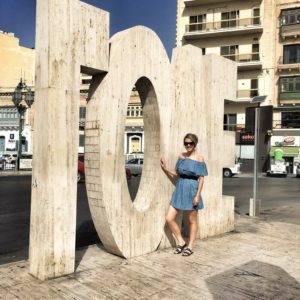 If you’re visiting Spinola Bay make sure you get a few shots of the Bay, keep an eye out for a HUGE Love monument and be sure to pop into a pub called Dubliner if you’re craving a pint at any stage. 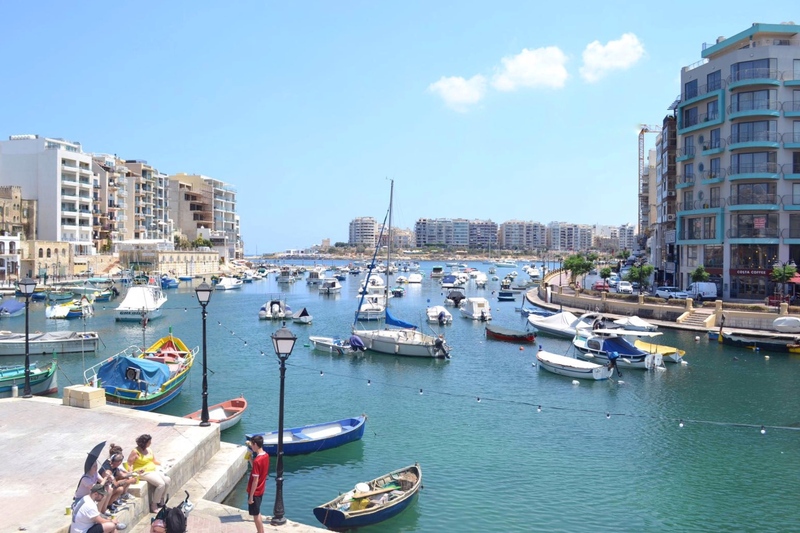 If you visit Spinola Bay then be sure to walk over to Balluta Bay (this is approx. 20 minutes by foot). 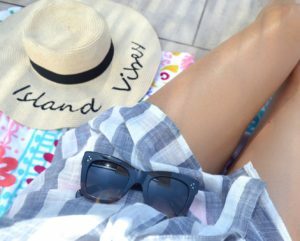 It’s full of hidden away areas for swimming and if you look hard enough you will find a sandy beach or two. 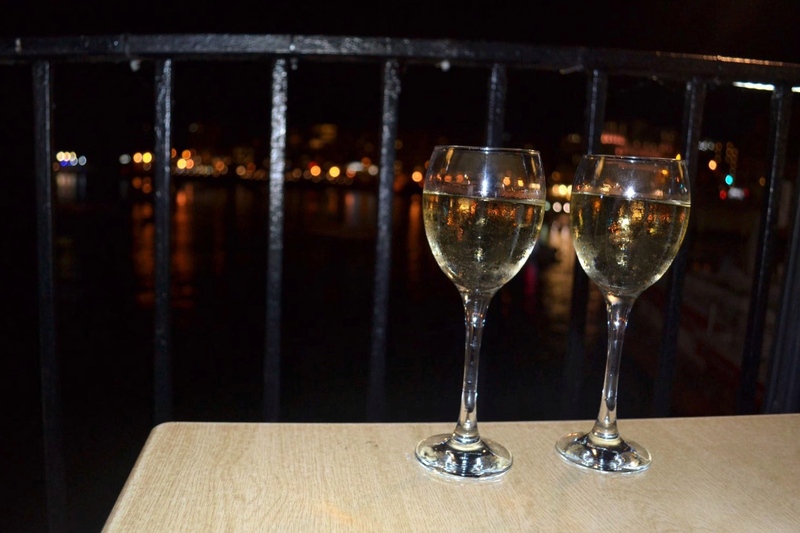 Again, there are a lot of restaurants around the bay with incredible views, including Paul’s Sea Breeze and Peperoncino, both of which we visited. 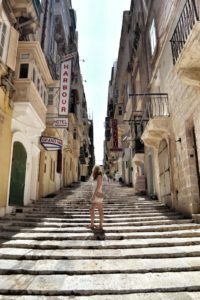 Another city you NEED to visit is the capital, Valletta. This is a walled city which overlooks the Grand Harbour. This was definitely one of my favourite places, partly because it is one of the Game of Thrones locations. It’s full of beautiful buildings, eye-catching architecture, cobbled streets, shops, cafes and restaurants. What more could you want? We spent hours walking the city streets and being typical tourists by seeing and doing as much as we could. There are a number of buses that will take you directly there from St Julian’s for just €2. This day trip is a must! 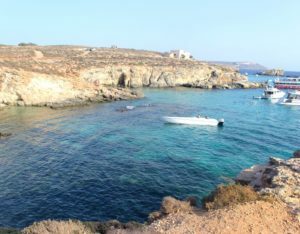 I highly recommend visiting the Gozo and Comino Islands. 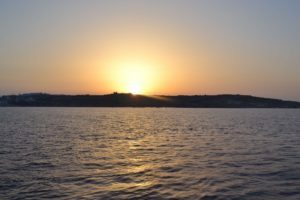 Our hotel had an in-house representative from Supreme Travel, so we booked a Daily Gozo & Comino Blue Lagoon Sunset Cruise. Our rep explained in detail what we would be doing on the day and what the price included etc. We paid €45 p/p, which included the coach, the cruises and an open bar. We were collected from our hotel at 9.30am, and boarded the Geraldine, a triple-tiered cruiser that left Sliema around 10.20am. The cruiser brought us around the Northern coast of Malta, from which we had great views of St. Paul’s Islands. Our first stop was Gozo. 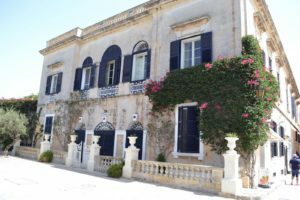 As soon as we arrived a double-decker tour bus (Malta Sightseeing Tour) picked us up and brought us to Belle Vedere for about 10 minutes. This was at the top of a hill so we had some amazing views of the islands. We then continued towards the capital town, Victoria (Rabat). Where we were given 75 minutes to roam around, do our own thing and explore Gozo. Nirina and I opted for gelato (it would have been rude not too :P) from a little side street café, and we wandered through more side streets and alleyways. This truly was a beautiful town. It almost didn’t seem real. From colourful doorways to silent streets, the layout, design and overall atmosphere of Victoria really was something else. 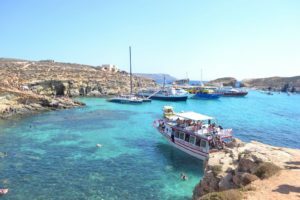 Our next stop was to the Blue Lagoon at Comino Island so we hopped back on our crusier and off we went. 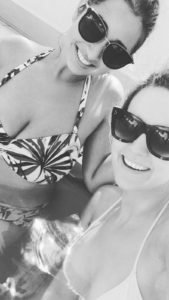 We opted for the sunset cruise so we had a few hours to relax and swim in the sea. Towards the end of the evening we boarded the boat one last time and we managed to get a lovely spot at the front of the boat. The views were incredible and we got to watch the sun set while we sailed back to Sliema. Our coach and driver awaited us at the ferry, and brought us back to St. Julian’s. Overall this Cruise Tours and Sightseeing Bus Tours were enjoyable and we had a full day of fun activities! 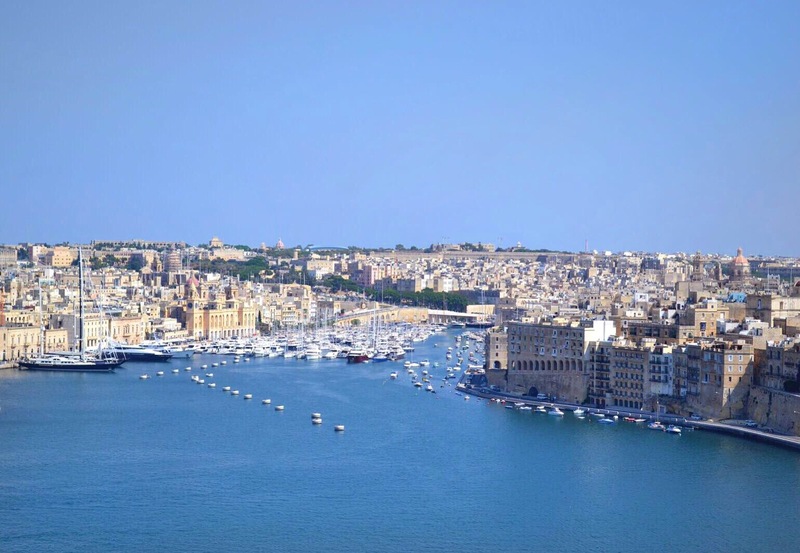 We also opted for the Grand Harbour cruise tour, which was included within the above ticket. 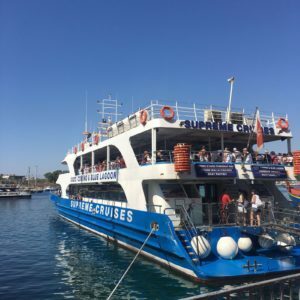 This tour also set off from Sliema Ferries, on a smaller boat. 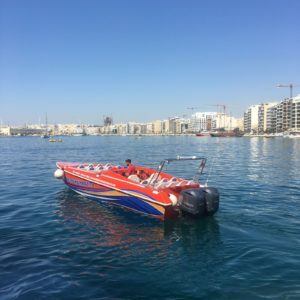 This took us all around the harbours of Sliema, Floriana and Valletta. 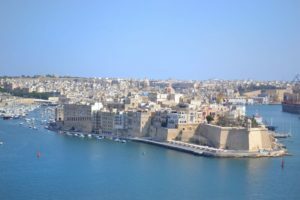 We learned that the Grand Harbour is the busiest harbour in the Mediterranean, while taking in the sights of historical buildings and we discovered set locations from the films Popeye and Gladiator! When researching where to visit in Malta, the old city of L-Imdina (Mdina) was high on the list of recommendations. 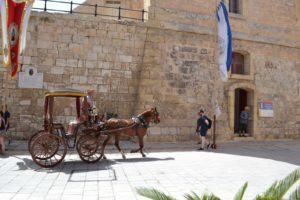 Mdina itself is still confined by its high city walls and it was another popular filming location for Game of Thrones. 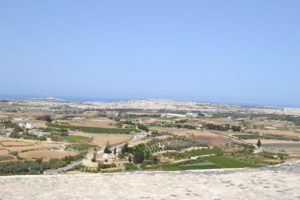 Mdina has a wonderful view of the Maltese coast cities and the sea. 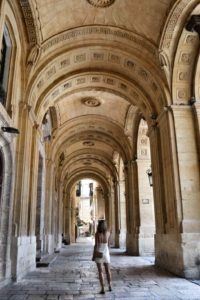 Similarly to Gozo, it was a quiet city in which we enjoyed walking through and taking in the architecture and the glass work. 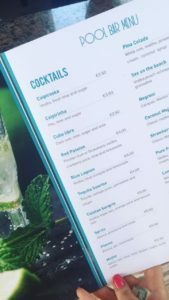 When it came to food and drink we were impressed with the value for money, as portions were quite generous and dishes were affordable. 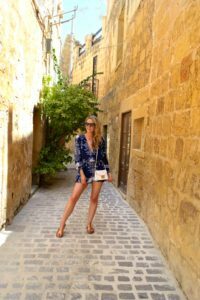 I have included a few of places we dined in as well as some traditional Maltese dishes that are definitely worth trying. 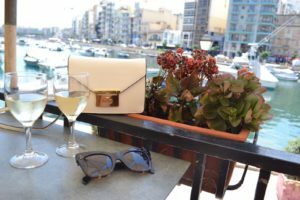 Raffael is one of my favourite spots at Spinola Bay. They had a great selection of both food and drinks and their prices were good too. Not forgetting the breathtaking views from their terrace. 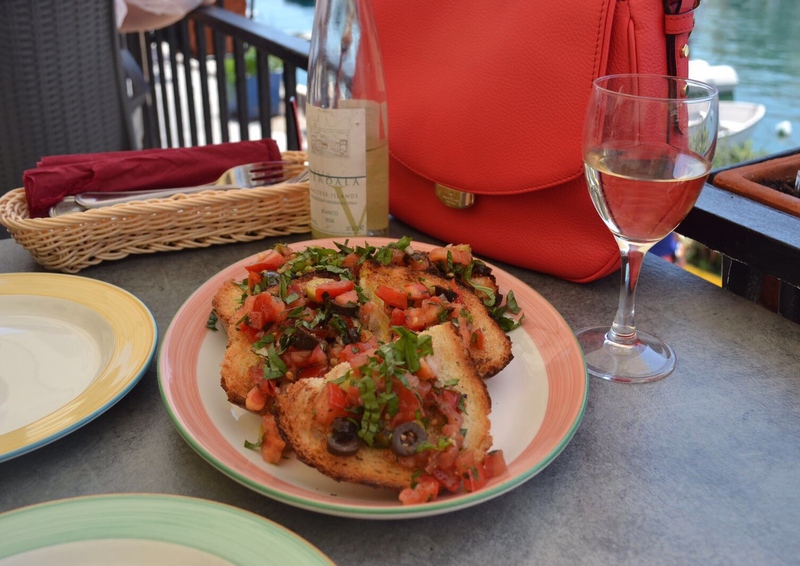 I ended up stealing some of Nirina’s Bruschetta Maltese (it was so tasty) and we shared a ½ bottle of white wine. That night we dined in Paul’s Seabreeze and it was about a 10-15 minute walking from our hotel. We opted to for the Paul’s Sharing Platter as a starter, it consisted of the traditional Maltese Ġbejna cheese and water crackers, as well as parma ham, olives, tomatoes and sun-dried tomatoes. To follow I ordered a pasta dish and we ordered the nicest bottle of wine too. Another favourite in St Julien’s was Gululu. 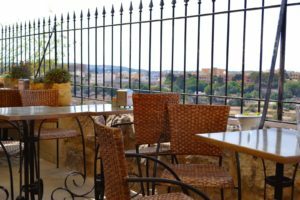 This had been highly recommended, especially for traditional Maltese dishes so we made this place a priority. We dined here after our day trip to the islands so we were starved to say the least. We both ended up opting for the Ġbejna Moqlija to start, followed by the Spaghetti biz-Zalza tal-Klamari. The starters were the traditional Maltese cheeselets (deep-fried cheese and served with chutney). We decided to be adventurous with our main course and we were slightly taken aback by the calamari. We have only ever eaten calamari rings, so the tentacles were something new for us both, while it was unusual it was tasty all the same! We had also ordered a Negroni cocktail which is a Maltese apéritif, alongside a bottle rosé wine. 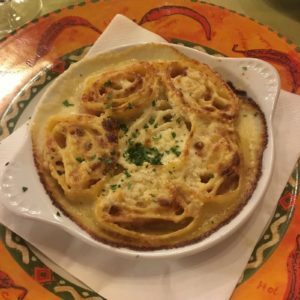 Overall, I was really impressed with Gululu and I would recommend going there if you’re in the St. Julien’s area. We came across South Street Lounge, a little restaurant on a street corner to lunch in and we shared yet another traditional Maltese dish. 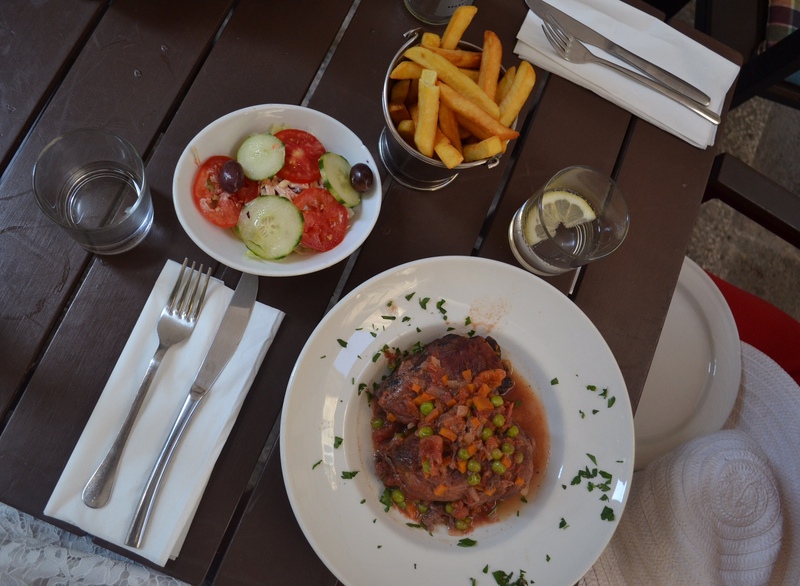 We ordered the Braġjoli; braised traditional beef olives filled with ham, bacon, cheese, egg, tomatoes and parsley. This also came with vegetables and sides of chips and coleslaw salad. It was meaty and the portion was quite large so I would recommend sharing this. Definitely worth trying though. On our last full day, we decided to mix things up for breakfast so we went to Riva Reno in St. Julian’s. 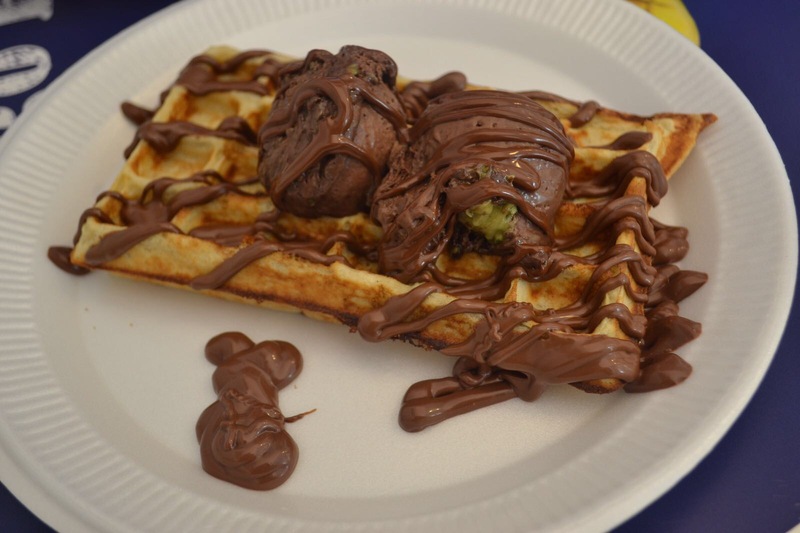 This place is known as being the best for gelato in Malta.We each had a waffle and gelato and they were UNREAL. This was only a few minutes walk from our hotel so it was a perfect spot for breakfast. One of Nirina’s friends had recommended Peperoncino, having visited it before on more than one occasion, so we went there on our last night! 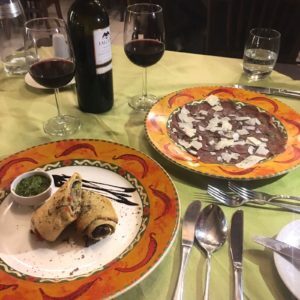 There was a lot of choice on the menu so it was tough to choose but in the end I ordered duck roles and an unusual but delicious ham and pasta dish for my main. The staff were very friendly and chatty and there was a great atmosphere.